• Sidney North Saanich RCMP reported a slow week. One three-day immediate roadside prohibition was given and four criminal charges were laid for various offenses. • On Dec. 6 a vehicle was stopped for doing 90 km/h in a 60 km/h zone. The 25-year-old male driver from View Royal, who failed to produce a driver’s license, was found to be prohibited from driving and his mother’s car was towed. He was issued a provincial appearance notice. • On Dec. 7, a Central Saanich resident looking for an egg stand on Veyaness Road accidentally hit the ditch. The car was able to be driven away from the scene. 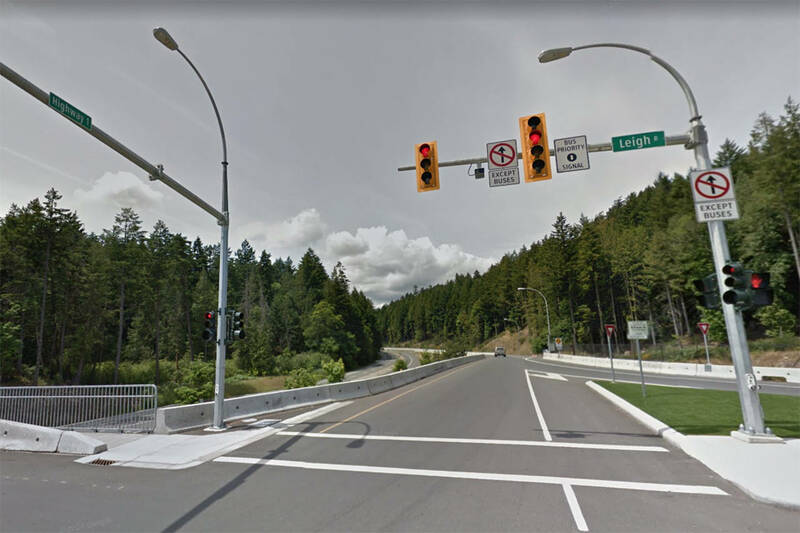 • A 51-year-old Central Saanich woman lost control of her vehicle on the highway near the intersection of Island View Road on Dec. 8. The woman’s vehicle hit the median, went airborne, crossed into the northbound lane of the Pat Bay Highway and came to rest in the Michell field. The driver was taken to the hospital but had no serious injuries. Charges of possible impaired driving and driving while prohibited are pending. • A man who drove his car into the ditch on Island View Road on Dec. 9 was issued a 90-day immediate roadside suspension and a 30-day impound. • On Dec. 11 a Central Saanich resident called police to complain that her neighbor had shot a hawk out of the sky with a pellet gun and at the same time had broken a window in her home with an errant shot. The man admitted to shooting the bird and was charged with hunting without a permit and discharging a firearm in an unsuitable place. The dead hawk was handed over to police as evidence.